There are a lot of noir films out there. Finding a place to start can be intimidating. Fortunately, Google is my best friend. If I find a movie on multiple Top 10 lists, I bump it up in my Netflix queue. 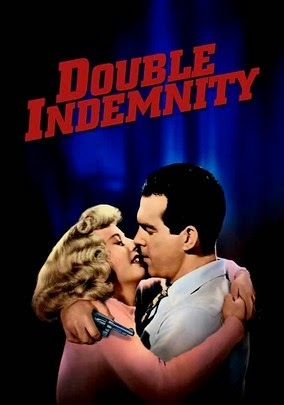 Double Indemnity is on just about every list out there. It's iconic, not the least because of Barbara Stanwyck's performance. I spotted a clip featuring her scene in the bath towel playing in the background on NCIS last night. Fred MacMurray, probably best known for his Disney goofball roles in the Absent Minded Professor and the The Shaggy Dog, plays an insurance agent who winds up getting in over his head with an unhappy housewife who manipulates him into planning the murder of her husband. Directed by Billy Wilder (who co-wrote the screenplay with Raymond Chandler, based on James Cain's book) the movie has some intricate, razor-sharp dialogue. There's plenty of action, too, but to get the most out of this movie, you have to really listen. I don't deduct points for historical inaccuracy unless something *really* bugs me. Please keep that in mind when reading historical romance reviews. All books reviewed, unless noted, were purchased by me. 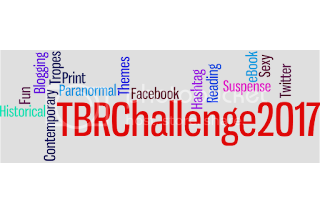 Any books received directly from authors or publishers free of charge will be noted in the review. If a book is purchased through a referral link on the blog, I may receive a small referral commission.